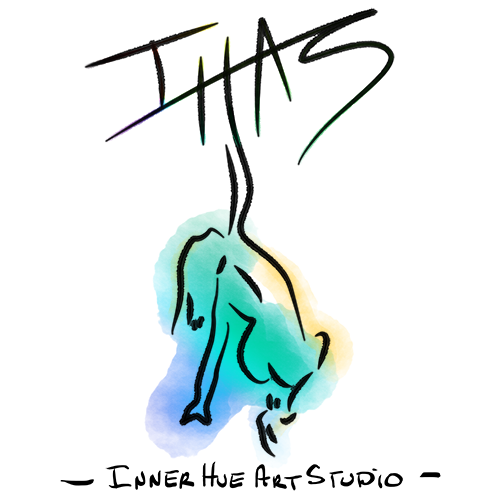 Inner Hue Art Studio LLC is owned and operated by artist and designer Antonietta Fazio-Johnson. Antonietta is an artist, illustrator, and designer who specializes in digital art and batik. More recently her work has focused primarily on illustration and design for card games and tabletop board games. You can read more about Antonietta's work below. Antonietta Fazio-Johnson is a fiber artist, digital artist, and graphic designer who received her BA from Allegheny College in Meadville in 2006. Antonietta utilizes the ancient process of batik in a modern way by using a combination of traditional and modern techniques to create her fiber art. Creating layers and textures with molten wax and dye on fabric, her work combines fine art themes with a traditional hand craft. Rich in color and emotion, her work reflects her love and interest in figurative and floral art. In addition to batik, Antonietta uses the computer as a medium to express herself. Equipped with a Wacom tablet and pressure sensitive pen, Antonietta creates her digital art and graphic design work using Adobe Photoshop. Antonietta has been creating artwork for mobile devices such as iOS and Android applications, tabletop board games, and card games. "I consider batik to be a symbolic process. Each piece is created through layers, reminiscent to how people are created through impressions and experiences, and when you melt away all the wax you are left with every drip, spill, crackle and color." I use a combination of traditional and modern techniques to create my fiber art. As a fiber artist, much of my work is influenced by both traditional and modern batik techniques. Batik is a time consuming art form that requires great care, extensive planning, much patience, and a little luck. The method requires a great understanding of color mixing and overdying, as each layer of dye mixes with the previous color to create a new mixed color. Not only must the application of dyes and wax be planned carefully, but the temperature of the water, the concentration of dye, the chemical composition of the dye mixture, the temperature of the molten wax, and the ratio of wax, must all be correct to achieve the desired results. So, what is batik? Batik is an ancient art form with its roots in many different cultures. Traditional methods of creating batiks vary from culture to culture, but essentially batik involves the applications of a resist and dyes on cloth to produce an image. Once viewed as a traditional art craft, batik has evolved as an art form and is becoming embraced by respected artists and collectors around the world. Many of my batiks are created using pure molten beeswax and 100% cotton. Wax is applied using a traditional tjanting tool as well as a brush. The tjanting tool is used for applying wax in fine lines. It has a wooden handle and a small reservoir with a spout in which wax is held and released. The molten wax is scooped into the tjanting tool where it flows through the needle spout and onto the fabric. The application of wax acts a resist to protect areas of the fabric that were not to be dyed. Dye is then applied to the fabric. I used fiber reactive dyes when creating my batiks and art scarves. These dyes bond with the fiber at a molecular level, becoming chemically part of the fabric. Therefor they are washfast and do not fade even after repeated washings. After the dye cures and the fabric is rinsed and allowed to dry, more wax is applied to preserve the new color. Then another dye is applied. The colors not protected by the wax are effected by the subsequent dying which results in new colors to be waxed and dyed again. Depending on the complexity of the image, the process of waxing and dying is repeated multiple times. The more colors a batik has, the more times it needs to go through this multi-step process. When a batik is created using complimentary colors, the waxing and boiling process is also repeated in order to achieve all the colors in the image. After this muti-step process is complete, wax is removed from the fabric by boiling the batik in water. I consider batik to be a symbolic process. Each piece is created through layers, reminiscent to how people are created through impressions and experiences, and when you melt away all the wax you are left with every drip, spill, crackle and color. Every color and drip becomes a part of the piece. There is no erasing in batik. I always anticipate revealing the image beneath the layers of wax. You never know exactly how a piece will turn out until you melt off the wax and the layers of color and crackle are revealed. Batik can be a mesmerizing, calming, and sometimes frustrating process. I've learned to embrace and anticipate the unexpected turns the dyes and wax tend to take as part of the process. For me the process is a perfect combination of control and spontaneity. As an artist I learned that you need to let the medium communicate with you. Batik has taught me the importance of process, patience, acceptance, and chance. I enjoy learning the hundreds of different variables that can influence the outcome of a batik. I hope you enjoy my batik art! Sometimes I just need some good clean fun. Don't get me wrong, I love the mess that traditional mediums create. Charcoal dust, smudges, paint smears, drips, dye stains on clothing, wax drips on floors, buildup on brushes. Stained clothes, stained fingers. It is messy and wonderful. Nothing immerses you more fully in art than wearing it, touching it, smelling it, hearing it. Digital art may not be so messy, but it has its own luring enchantments. Digital art and graphic design allowed me to grow as an artist. Unlike batik, digital art is a forgiving medium. Click undo, hide a few layers, revert to another saved file... Nothing has to be permanent. It is a medium that allows me to comfortably explore multiple compositions and color changes without having to alter what came before. As an added bonus, it does not take up physical studio space. I can make a million sketches and works of art and it only takes up virtual space. I create a majority of my digital work using Adobe Photoshop and a Wacom tablet & pressure sensitive pen. The Wacom pen is a comfortable and natural way to hand-draw my art. While the software allows me to hand-draw directly to the 'computer canvas', I also sometimes combine this hand-drawing with traditional hand-drawings on sketchpads/paper throughout the creative process. Much of the digital work that I create is for clients. Therefor this website has yet to showcase much of my digital work at this time. I have a large collection of works that I hope to make available for viewing on my website in the near future. So, if you've read this far and you enjoy the work you've seen so far, please check back again. Copyright: All artwork is under the protection of copyright law. All images on this site are copyright either ©Inner Hue Art Studio LLC or the artist, ©Antonietta Fazio-Johnson, unless otherwise noted. The copyright owner holds exclusive rights over artwork and reproductions. Unless prior express written permission from the copyright owner is obtained, any attempts to copy, reproduce, create derivatives from, or use any of the images is illegal and prohibited. Please support the artist. Don't be a thief.